The DIY Joint Reviews: Take The Top Woodworking Class NYC! 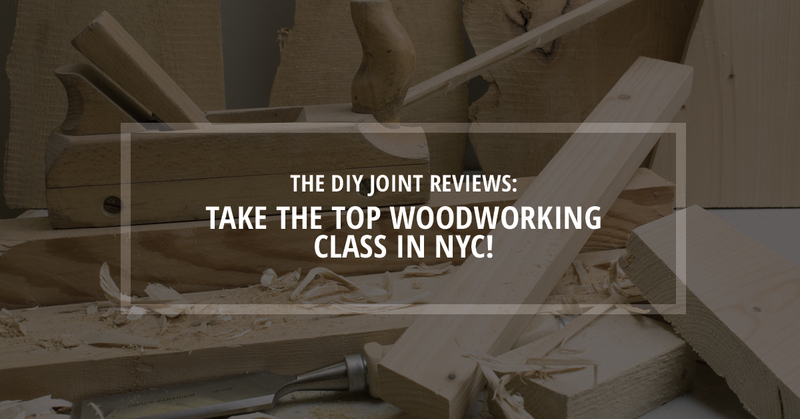 The DIY Joint Reviews: Take The Top Woodworking Class In NYC! Interested in taking one of the top woodworking classes in NYC? Come to The DIY Joint! Located in Hoboken, NJ, we’ve got a variety of woodworking classes on offer here, with something to challenge people with a range of skillsets and carpentry experience. Our woodworking sessions will be guided by craftspeople in an assortment of trades and backgrounds. This includes DIY enthusiasts, contractors, furniture-making carpenters, woodworkers, and more. Our collaborative, hands-on classes range from an introduction to woodworking for beginners to free-form woodworking using hand tools. Today’s post is going to depart from our typical avenue where we tell you all about our woodworking courses in favor of our woodworking class participants who have enjoyed their time making something with their hands that they can be proud of. These testimonials speak to the quality that we’ve sought to instill in every class here at The DIY Joint, and we are proud to be able to share these kind words with people who are looking for a new hobby and are considering taking a course in woodworking. Keep reading if that sounds like you! hank you, Felipe, for taking the time to let us know how you liked taking woodworking classes in NYC from The DIY Joint. We think it’s so cool that you got multiple job offers based on your experience with us! For those of our readers thinking about taking a woodworking class for beginners but might be a bit timid about the prospect of using power tools, we want you to know that we’ve created a place that is both empowering and challenging at the same time. Priscilla, as Felipe noted, is an instructor who loves to teach people new techniques. There is no need to feel intimidated or anxious before your first class! We make a point to set you up for success. With the holidays right around the corner, you might already be thinking of gift ideas for loved ones. What is a better gift for family and friends than something you hand-made especially for them? Although David’s circle of friends might get tired of all of the woodworking gifts he’s going to give them, we’ve found that such a personalized gift helps show your friends and family how much you really care. And once you get the feel for things at one of our woodworking classes for beginners, you’ll be able to follow David’s lead and use our open studio time to make whatever you like! You’ve read about Priscilla a few times already in these reviews, for good reason. Priscilla is our founder and owner. She created The DIY Joint with a specific purpose in mind. She overcame her own fear of power tools to get in touch with something that many of us have lost – opening her hands and heart to a world of manual creation that at times can seem unavailable to women. With that in mind, she, along with all of our instructors, is passionate about helping others to find that same feeling, to get in touch with their inner “maker” in a new way. Irrespective of background, gender, or skill level, we are proud to be able to provide an environment where anyone can feel empowered and have fun while doing so. Thanks, Daniel, for sharing about your experience taking our NJ woodworking classes. Richard, thank you for sharing your story. This is the kind of testimonial that inspires us. Richard was able to connect with a part of his past – a past time that he shared with his father. And as you can tell from Richard’s review, we do more than provide introductory woodworking classes. Even our participants who have experience in joinery can learn a thing or two. Whatsmore, if you have someone in your life whom you think would really enjoy taking a woodworking class, we recommend giving them the gift of self-discovery by way of a new hobby! Check out our information on holiday gift cards right here. Our mission is to empower you with the tools, space, and skillset required to allow you to find out something deeper about yourself. At the same time, you’ll be able to make something you are truly proud of. We hope that you’ve enjoyed hearing what people think about their time taking our advanced, intermediate, and beginner woodworking courses. We are now enrolling from November to April, and space is limited. So sign up today!